Roller derby skaters have a very special relationship with both gravity and concrete. 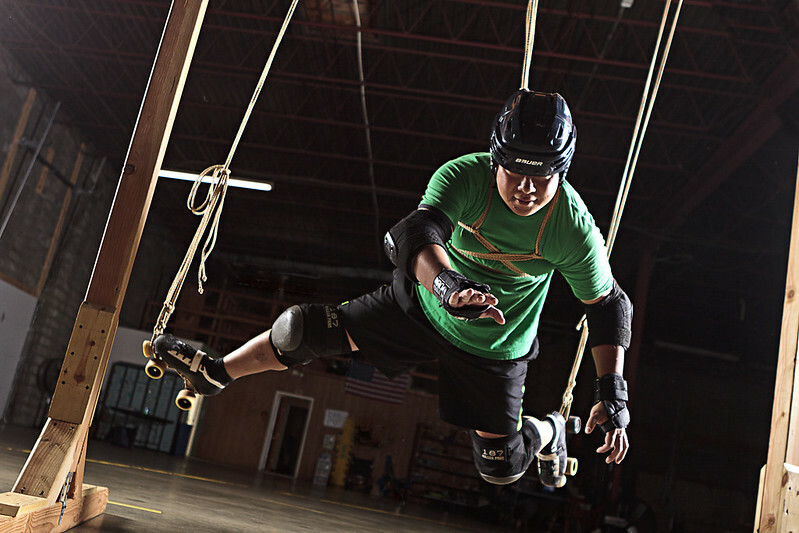 Whether it is the graceful jump over the apex for a grand slam, or the hard collision of bodies into a tangle of limbs, derby can be a chaotic aerial ballet. Fynch, assisted by her partner Kaa, returns to rig skaters into frozen tangle of limbs and bodies as we explore this relationship. This is the second entry in the Gravity series, a collaboration between Fynch and Cory to create a living sculptures that are both static and dynamic. The first set in the series can be found here. Additional photos can be found at ClayMan Photography on Flickr. Click here to see the first part of this series. As usual, great jon. Thank you Cory and Fynch for allowing myself and my teammates to be part of this project.